Eeeep. 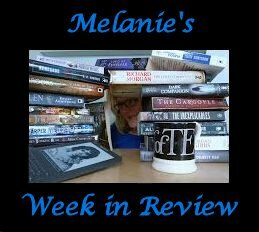 This week has a very unproductive week on the reading front. I only finished 1 book. ONE BOOK!!! ONLY 1!!!! But your honor I have an alibi. I worked from home one day due to a 48 hour tube strike so that was 2 hours of concentrated reading lost. Then I caught the office lurgy and felt like I had been hit by a tube train so missed a day at work and another 2 hours of reading time. Well that is my excuse and I am sticking to it. So what did I read? It was quite by accident that I was scrolling through Twitter and saw a tweet from another reviewer that they were reading Darkness Bound by J.T Geissinger. Racked with jealousy that someone else was reading the latest book from the Night Prowler series I practically sprinted to my computer to request it from NetGalley. Lucky old me has auto approval from the publisher, Montlake so I was tucking in and had it read by the next day. Not to taunt you too much but I can't say much more as I will be writing a full review so keep your eye out for it. 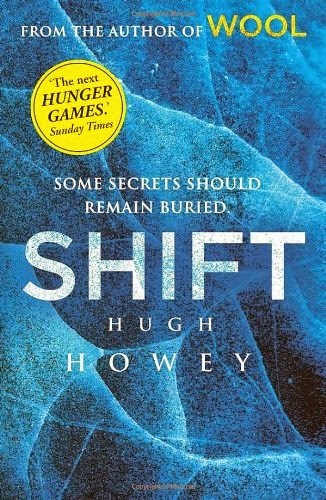 I have been determined to reduce my TBR so I decided to read Shift by Hugh Howey. This is the prequel to Wool which I completely forgot that I had. I loved Wool and Shift is a real nail biter. I am really enjoying it but it is taking me a long time to read it. I am hoping to finish it this weekend so I can tell you all about it next week. I guess I had better 'fess' up and admit that instead of reducing my TBR I have received 2 more books from NetGalley (hangs head in shame). I requested The Buried Life by Carrie Patel and The Severed Streets by Paul Cornell. I am looking forward to reading these two books over the next few weeks. Until then I hope you have a good week and Happy Reading.